At the preschool level our writing program begins with the basic foundational skills one needs to learn before writing, not specifically in English, but in any language. So skills such as pencil grip, making vertical, horizontal, and diagonal lines, as well as being able to aim and place a writing utensil in a specific spot. Once the basic skills have been mastered we move through the production of the alphabet in both upper and lower case before taking on small words and eventually short sentences. Letter formation, proper stroke order, and quality rather than quantity are some of the key elements to our program. Many children struggle with writing and will begin to develop negative feelings toward the activity. To address this tendency we developed our curriculum around a renowned program from the United States that aims specifically to promote a positive attitude toward writing. This program allows the children to develop a solid foundation for how to approach writing, which aids them in better overall production of language, while also fostering an enjoyment of writing. At the elementary level, the children are introduced to textbooks and more comprehension tasks so that their writing ability will be fused in many ways with their reading ability, thus strengthening their foundation in both areas. A more detailed description of this program can be found here. 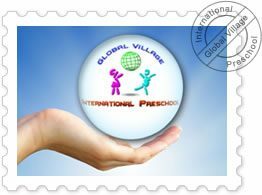 Enter your email address to follow GVSP and receive notifications of new posts by email.